In February 2016, the Community Foundation announced the end of the Amazing Raise and the desire to direct future efforts to further support nonprofit capacity building, donor engagement and opportunities to achieve greater community impact. TCF expressed a hope that local nonprofits would learn from their participation in the Amazing Raise and evolve in their own fundraising efforts. Through the spring and summer, TCF worked with many organizations to help them figure out “what’s next”. Although there was some initial disappointment, many nonprofits were inspired to create campaigns of their own. Over the next few weeks, we’ll be sharing insight into those campaigns that evolved after the Amazing Raise. On September 13th four local Christian nonprofits held The Amazing Praise – a 48-hour online giving event with a goal of raising $100k. Participants included Boaz & Ruth, Richmond Christian Leadership Initiative (RCLI), Sweet Monday and Youth Life Foundation of Richmond. The four organizations had individual goals based on their previous success in the Amazing Raise; RCLI – $55k, Youth Life Foundation – $20k, Sweet Monday – $12.5k and Boaz & Ruth – $12.5k. The online giving event ended up bringing in $55.5k. We spoke with Tim Holtz, Executive Director of RCLI and organizer of The Amazing Praise to learn more. 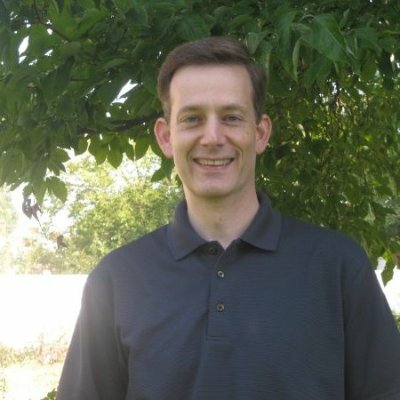 Tim Holtz, Executive Director, Richmond Christian Leadership Initiative and lead organizer of the Amazing Praise in its initial year. Where did the idea of the Amazing Praise come from? The Community Foundation hosted a session about ‘what to do now that the Amazing Raise is over.’ On my way there, the Amazing Praise language came into my mind as a possible jumping off point for our organization, given its faith focus. At that session, my biggest take away was a presenter commenting that now (i.e., with the Amazing Raise ended) was the opportunity to move donors from being prize-focused to being mission-focused. 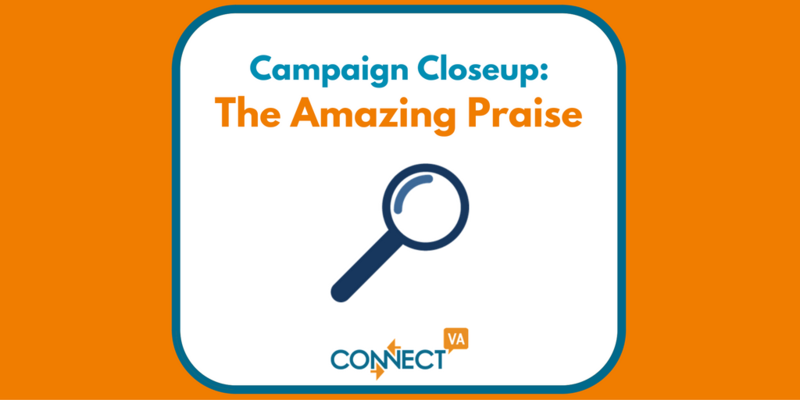 I tried to use the Amazing Praise concept and how our specific organization deployed it, as mission-focused methods for RCLI. How did you decide who would partner on this initiative? I met with a key RCLI volunteer to invite his leadership of the Amazing Praise effort for RCLI. He questioned whether the effort was just for RCLI or for other organizations? Given RCLI’s approach and outlook in wanting Richmond to reflect God’s heart, the final answer came rather easily . . . yes, let’s see if other organizations might be interested. In the first year, we wanted organizations that, like RCLI, had significant Amazing Raise involvement in 2015 and were concerned about how to retain/grow their donors. Secondarily, given the “praise” aspect of our approach, we wanted organizations that were comfortable using this opportunity to simultaneously celebrate the work being done across the region in Jesus’ name. Given these parameters, I spoke with about 15 organizations. In the end, three of them determined it was a good fit for them in terms of their calendar, approach, etc. How did you spread the word for the event? We pooled our Amazing Raise donor lists, removed the duplicates and then shared in the cost of an over-sized postcard mailing to the donors announcing the new event and our collaboration. We established a basic website (TheAmazingPraise.org) and then launched a Facebook page—taking one week turns to share praise-worthy highlights of our work. We also widely distributed a press release and received some website and social media promotions from Entrust Financial Credit Union. Finally, it was the responsibility of each organization to contact their donors and encourage responses. We worked in collaboration and successfully raised money. We were also disciplined to all promote and share only one link/URL throughout the event: TheAmazingPraise.org. This ensured that all (prospective) donors were at least alerted to the existence and participation of the other organizations. Each organization was able to manage its own messaging and donation process (i.e., no common, intermediary). The Richmond Times-Dispatch provided media coverage. What surprised you about the Amazing Praise? Not exactly a surprise, but it became clear to me that the community-wide 36-hour frenzy created by the Amazing Raise was a key factor in growing the number of donors. Our four small organizations working on a roughly six-week timeline were not able to independently duplicate that level of excitement. We learned that it worked. Simply with more time to plan for 2017, broader and more creative promotions should increase the success. What’s next for the Amazing Praise? We do plan to repeat it in 2017: from 12:00 pm on Tues., September 26 – 12:00 pm on Thurs., September 28th. Other organizations are welcome to consider participating. The governing “agreement” is under development and will be available in November by contacting any of the 2016 organizations (RCLI, Sweet Monday, Boaz & Ruth, Youth Life Foundation of Richmond). Plus, an informational session is scheduled for Thurs., January 12 at 9:00 am, hosted at Boaz & Ruth (3030 Meadowbridge Road, 23222; RSVP is requested). And here are a few short webinars on #GivingTuesday, which is coming up on November 29th! 10/27 – GivingTuesday Before, During and After—Your 9-Week Success Plan!